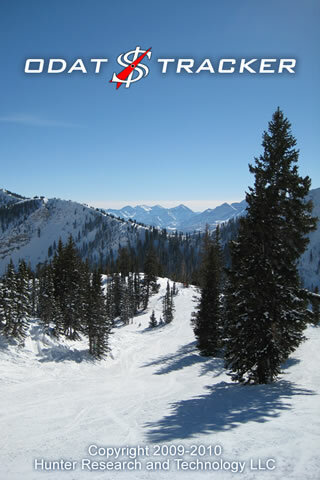 ODAT Tracker is a free app that tracks deals from Backcountry.com's "one deal at a time" (ODAT) sites, including Steep and Cheap, Chainlove, and Whiskey Militia. 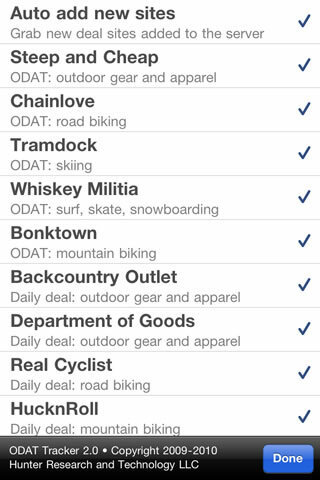 ODAT Tracker also includes daily deals from the following merchants: Altrec, Backcountry, Big Sky Country, Cabela's, Christy Sports, Department of Goods, Dogfunk, Eddie Bauer, evo, gearSlash, GearTrade, gearX, Getzs, GoLite, Hucknroll, Left Lane Sports, Massey's Outfitters, Moosejaw, Mountains Plus, Nantahala Outdoor Center, Patagonia, Peter Glenn, Quicksilver, Realcyclist, Red Tag Sports, REI, Roxy, Sierra Trading Post, Ski Center, Tahoe Mountain Sports, Trail Blazer, and TriVillage. ODAT Tracker allows you to choose which sites you want to follow, and will automatically update with new deals as they go live. Tap any deal to go directly to the merchant's site and make a purchase. 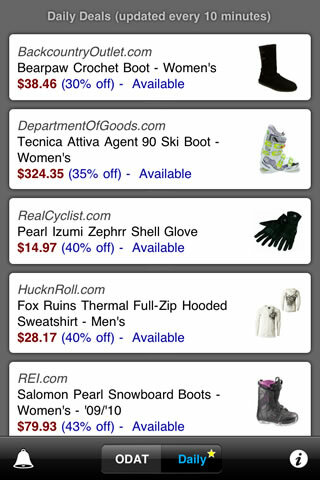 ODAT Tracker makes it easy to stay on top of all the ODAT sites and daily deals at once! 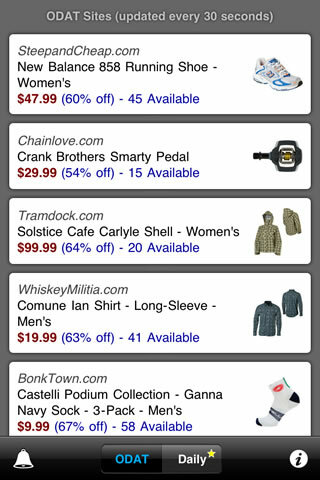 As a bonus, ODAT Tracker users can get 40% off items at Department of Goods when purchases are made through the app. The discount will be shown when items are added to the cart. Mac users, check out our free ODAT Tracker App for Mac to track deals right from your desktop! Feedback, comments, and suggestions are welcome. You can get ODAT Tracker from iTunes for Free! Runs on any iPhone, iPad, or iPod Touch with OS 3.1 or later.